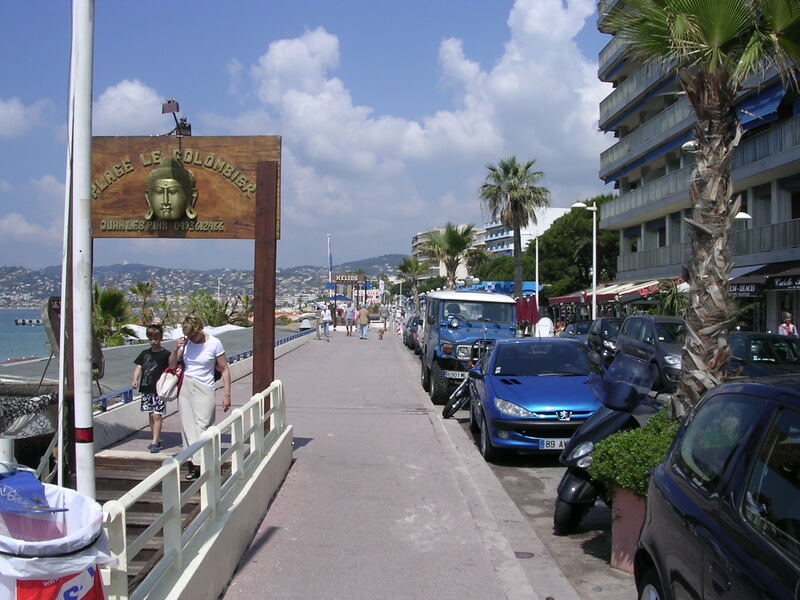 Maybe you’ve heard of Juan-les-Pins…or not…but it has the charm and energy of Nice, its nearby neighbor. It even has a curved beach which hosts many hotels, quite a few of them high-rises on the waterfront. This popular beach town sits just west of Antibes, on the Cap d’Antibes, a rounded peninsula jutting into the Mediterranean, somewhere between Cannes and Nice. 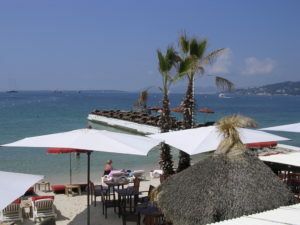 The towns of Juan-les-Pins and Antibes are often grouped together on brochures and websites, as if they are one town. True, they are close together, an easy visit if you wanted to have a base in one and visit the other. 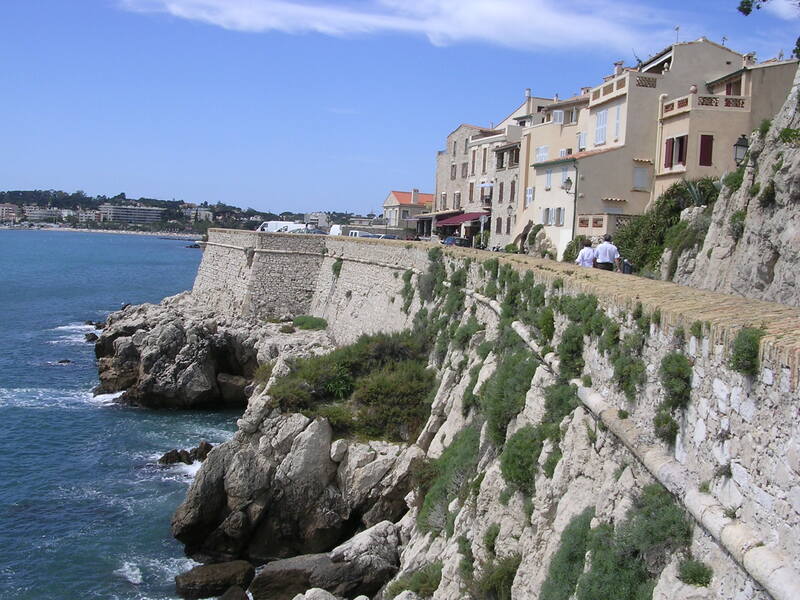 They also share the same address: Antibes Juan-les-Pins. I have been to both and I never knew they were considered the same town until many years later. You could easily visit one and not the other. 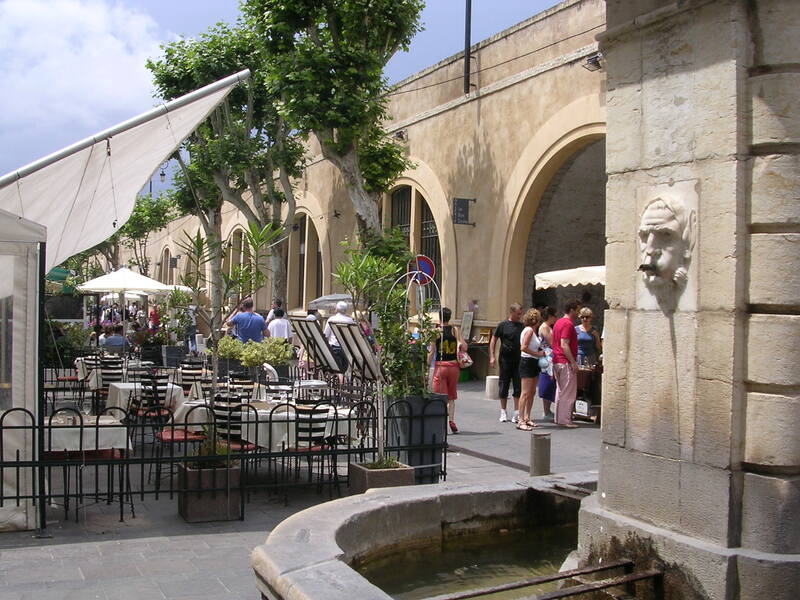 They are very different from each other…Juan-les-Pins has a high-energy beach atmosphere whereas Antibes is more historic, surrounded by centuries-old ramparts. The best plan is to see both. 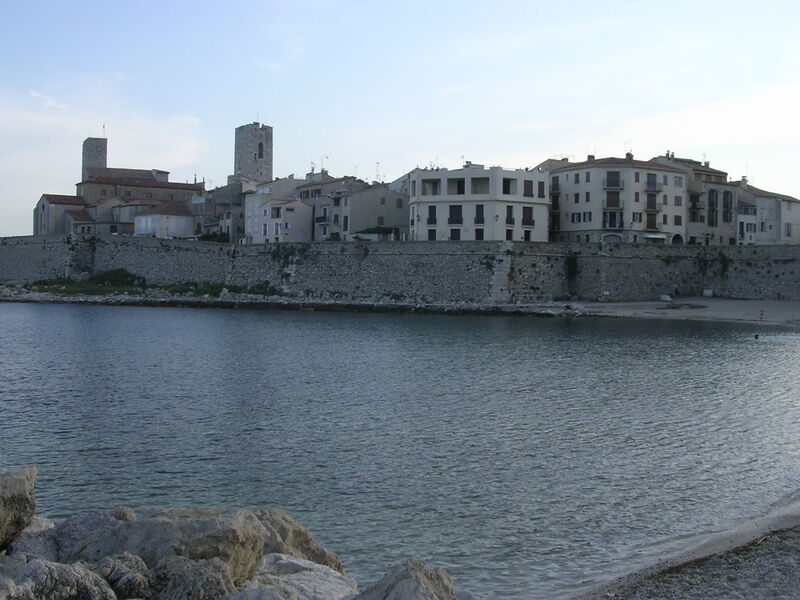 Here are some highlights of both towns plus the Cap d’Antibes, the peninsula on which they sit. 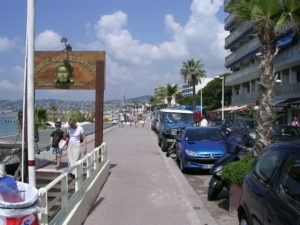 Promenade du Soleil is an area near downtown with mostly private beaches. For public beaches go to the western side of town or Gallice Beach to the southeast. Antibes is so worth a visit all by itself. I love it. The pace is quieter than Juan-les-Pins, but there’s still plenty to do. I would try to do both, but depending on your mood, you can choose! Château Grimaldi with Picasso Museum: A 16th century chateau which was the first museum to display Picasso’s work. It includes a number of his works, including La Joie de Vivre, which he painted there. Vieille Ville, the old town, SO charming with lots of shopping a great open market and much to see. Walk around the ramparts on every side of the city. Fort Carré : A 16th century star-shaped fort on the outskirts of town, where Napoleon was detained for a short time during the French Revolution. Tip: In Juan, rent a flat on the outskirts or the edges of town. 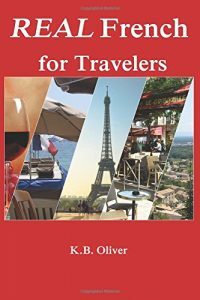 There are more hotels in Juan than Antibes, but you can easily stay in one and visit the other, or vise versa. If you get a hotel in Antibes and don’t have a car, better get a room in the Old Town, unless you check bus schedules in advance to see if you can get back to your hotel when you want to. Phare de la Garoupe: Chapel and Lighthouse; you’ll have a view of the peninsula and landscape beyond. Naval and Napoleon Museum at the tip of the Cap d’Antibes for history and military buffs. It’s surrounded by a ten-acre park and offers a great view from the tower. You can easily see all three spots on one trip. 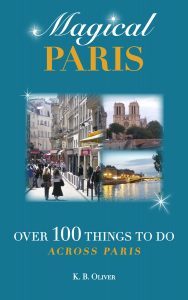 In addition, in a short drive or train/bus ride you can visit Cannes, Nice, or Valuris (a pottery village made famous by Picasso himself.) There’s a lot to do in this area of the Riviera. A view of Antibe from outside the ramparts surrounding the city. It isn t, of course – not when you ve got ancient Antibes with its Greek origins and h-century ramparts sitting next door to the art deco elegance of beach-lined Juan-les-Pins. Yes, it’s great to have such a contrast one town right next to the other. you’d never get bored!